So, what does the w ord “Lent” mean? We all know that Lent is the season just before Holy Week. We know that it is a season of repentance and self-examination. We recognize our own mortality. So does the word “Lent” reflect this? I’m sorry to say, it does not. 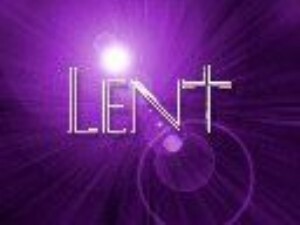 The word “Lent” means “longer” or “lengthen.” It reflects the natural fact that the days are getting longer. … Kind of a letdown if you ask me. I don’t know if the originators of the name for the pre-Easter season thought of the word “Lent” in these ways, but I kind of like it. Maybe you can think of some other way to understand the word “Lent” that applies to the season as it has developed. If so, you can leave your idea in the comments below.